(FORGE 16oz BRONZE. For frequent sipping, just press the top button to lock the cap open. Always happy to help :-). (FORGE 16oz SLATE. For frequent sipping, just press the top button to lock the cap open. Always happy to help :-). Ceramivac finish. 16 oz / 473 ml capacity. The design makes this mug really easy to clean. No bottle brush required, you can get your dishcloth right inside or just take two lids off and stick the lot in the dishwasher. 18 oz / 532 ml. No matter what you are doing or where you are going this mug will keep hot drinks hot for 12 hours and cold drinks cold for 16 hours. And you can throw it in the dishwasher for hands free cleaning. (NEW KICKBAK™ 20 OZ. This insulated vessel does triple-duty as a coffee mug, a water bottle, and a pint glass. Ergonomic grip fits easily in your hand with a base that fits in most cup holders. Always happy to help :-). Contigo Glaze TwistSeal® 470ml Travel Mug - Matte Black. TWISTSEAL® technology: twist to open or close and protect the drinking spout. Contigo Glaze is perfect for those who like the classic ceramic drinking experience but want to keep their coffee or tea hot longer. NEW KICKBAK™ 20 OZ. This insulated vessel does triple-duty as a coffee mug, a water bottle, and a pint glass. Ergonomic grip fits easily in your hand with a base that fits in most cup holders. Le mug isotherme thermique est une solution simple et pratique pour stocker des boissons froides ou chaudes . Avec une isolation à double paroi , cette tasse retient parfaitement la chaleur , tandis que le couvercle contient un joint en caoutchouc qui assure aucunes fuites ou débordements. Egalement, le couvercle de stockage interne est idéal pour stocker quelques sachets de thé ou sucre et la finition mate apporte une meilleure adhérence afin que vous puissiez transporter votre boisson en toute sécurité où que vous alliez . (This double wall insulated mug will keep your coffee hot for 1.5 hours. 18/8 stainless steel won’t rust; naturally BPA-free. Always happy to help :-). 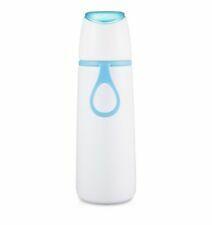 Modern design insulated thermos flask. Great for hiking, walking, camping or work. Wide mouth over-the-nose design makes it easy to sip your favorite beverage on the trail. NEW KICKBAK™ 20 OZ. This insulated vessel does triple-duty as a coffee mug, a water bottle, and a pint glass. Ergonomic grip fits easily in your hand with a base that fits in most cup holders. Material: 18/8 Stainless Steel. Capacity 24oz / 709mL. This Oktoberfest, stand out from the crowds and keep your lager ice cold with your very own Stanley Classic Vacuum insulated Stein. VACUUM STEEL STEIN. PRODUCT SPECIFICATIONS. Weight 1.28 lb. Paroi double. Poignée et couvercle anti-fuite en plastique. • Nous expédions des centaines de commandes par semaine vers la France. Capacity 16oz / 473mL. The large, rugged handle is glove compatible with ample clearance for your cup holder. LARGE, VACUUM STEEL TRAVEL MUG. Dishwasher safe and car cup compatible. 18/8 stainless steel won’t rust; naturally BPA-free. Parfait pour le camping et les longues promenades, le mug de voyage Mountain Warehouse 480 ml gardera vos boissons au chaud pendant vos déplacement. Parfaitement isotherme pour conserver la chaleur, ce mug est un accessoire pratique, que ce soit pour vous rendre à l'école ou au bureau. Ce mug est équipé d’un couvercle percé de petits trous à travers lesquels vous pourrez boire. En faisant tourner le couvercle, vous refermerez les trous pour conserver votre boisson chaude plus longtemps. Et ainsi aucun risque de renverser votre boisson. Size: 450ml (14oz) capacity. Ideal for use on the go - commuting to work. Thermal mug with screw on lid. Good quality Travel Mug. Satin Finish Stainless Steel Mug. Ideal for Tea, Coffee and Cold Drinks. Size: 450ml (14oz) capacity. Ideal for use on the go - commuting to work. Thermal mug with screw on lid. Good quality Travel Mug. Satin Finish Stainless Steel Mug x 2pcs. Ideal for Tea, Coffee and Cold Drinks. Contigo® West Loop - 470ml AUTOSEAL® Vacuum Insulated Mug - Latte. Press to sip. Release to seal. The West Loop drinking mugs use vacuum-insulated technology, keeping hot drinks hot for up to 5 hours and cold beverages cool for up to 12 hours. Press to sip. Release to seal. The West Loop drinking mugs use vacuum-insulated technology, keeping hot drinks hot for up to 5 hours and cold beverages cool for up to 12 hours. The lid flexes open for easy cleaning and there are no loose parts. 335ml Capacity. High Quality Travel Mug. Ideal for traveling to work. Tea & Coffee. Picnic & BBQ. No Slip Grip. Baby & Toddler. Sport & Exercise. Contigo® West Loop - 470ml AUTOSEAL® Vacuum Insulated Mug - Raspberry. Press to sip. Release to seal. The West Loop drinking mugs use vacuum-insulated technology, keeping hot drinks hot for up to 5 hours and cold beverages cool for up to 12 hours. Contigo® West Loop - 470ml AUTOSEAL® Vacuum Insulated Mug - Black Matte. Press to sip. Release to seal. The West Loop drinking mugs use vacuum-insulated technology, keeping hot drinks hot for up to 5 hours and cold beverages cool for up to 12 hours. Fits securely inside a PLCE Ammo Pouch. A handy little flask made by Web-Tex that can be taken almost anywhere with you and can fit in pretty much any rifle sized ammo pouch. Secure screw top lid (for Coffee, Tea, Water, etc). Forge ahead without spills on your way to the trailhead in the morning. of coffee or tea piping hot for over 4 hours, with an impact cap that prevents dents or cracks if you drop it. Bottle Material: Stainless Steel. Well, fret no more. We have you covered! The Lucille Walking Dead Travel Mug made infamous by Negan in the series is an exceptional gift for Walking Dead fans. Choose from calendars, diaries, planners, annuals, notebooks, stationery and more. The YETI Rambler® Lowball Cup is designed for all things hot and cold. Sip on the YETI Rambler Lowball from morning till night. Both cup and lid are dishwasher safe. Capacity: 10 oz. Clear lid design. Camelbak Fordge Divide 16oz Insulated Travel Mug 83694-A BORA BORA Blue, NEW! Avex 16 oz. Autoseal Insulated Travel Mug, Pig and Cow custom art.